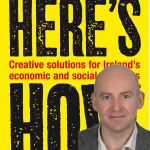 Future editions of Here's How, Ireland's Political, Social and Current Affairs Podcast will include your phone calls, but episode zero is here mostly to test the system and make sure that everything works smoothly. If you notice any glitches, please report them to podcast@HeresHow.ie. Please also share the podcast on Twitter and Facebook, and you can tell your friends down the pub too. You can subscribe to the podcast, and your podcast software or app will download future episodes automatically, as soon as they are published. Most importantly, please dial 076 603 5060 (outside Republic of Ireland +353 76 603 5060) to record your contribution for upcoming shows. Find tips to record a good contribution, and other ways to send it in here.